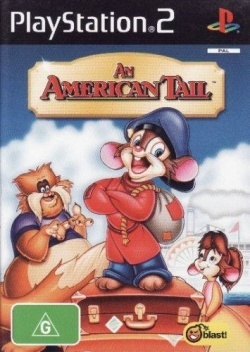 Game description: Fievel Mousekewitz and his family have left their home in Russia for a new life in America, but when a storm hits their ship bound for New York, Fievel ends up getting separated. Feeling lost, alone and very scared is only the start of Fievel's problems. New York City is teeming with big cats who love to prey on mice. Can you help Fievel defeat the feline foes and find his family in this breathtaking platform action game based on the ever popular movie.